This will likely make you feel old but nostalgia is simply too much fun not to indulge. 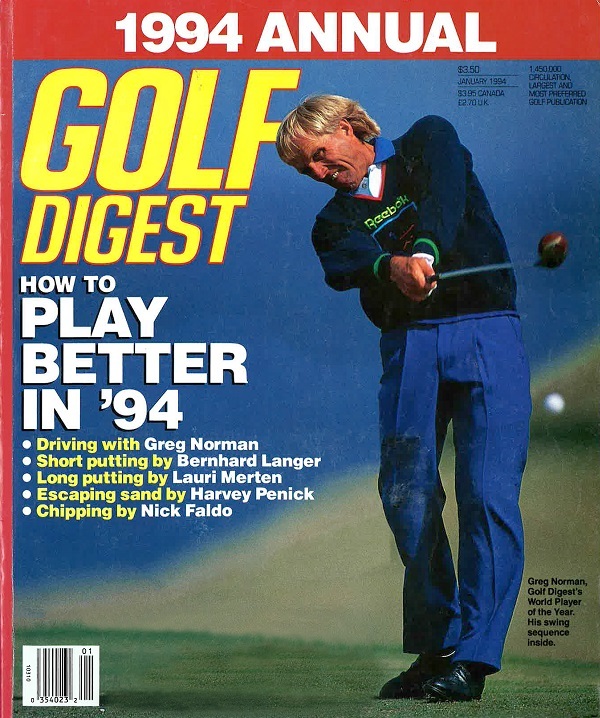 As we prepare to bring you equipment information over the next few weeks about what’s new for 2019 – let’s take a look back 25 years to this cover of Golf Digest from early 1994. Persimmon and pleats indeed. And you can bet there were some good clunky spikes at the bottom of those shoes Greg was wearing.